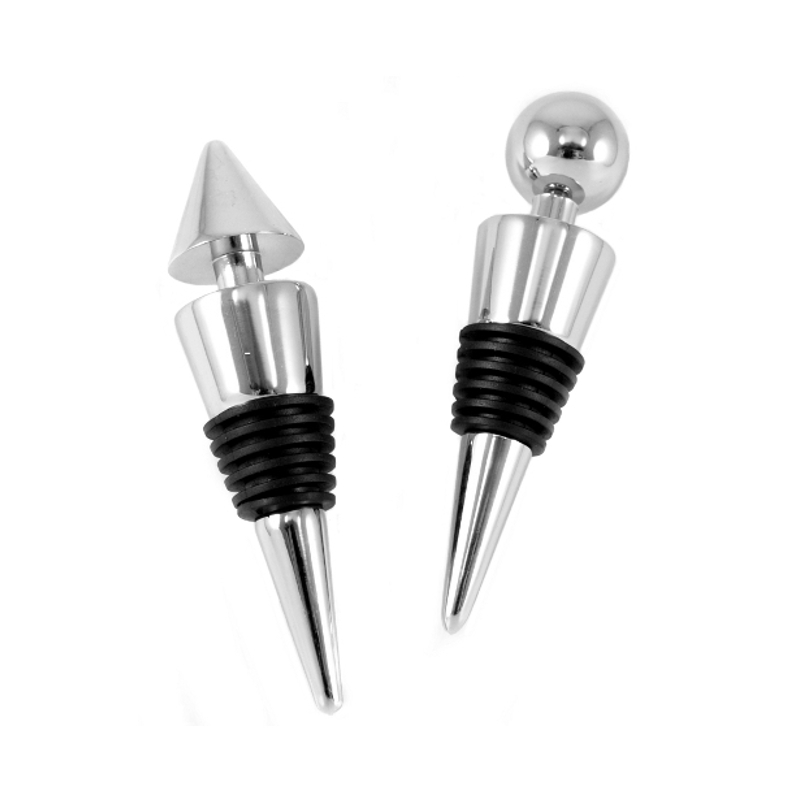 Keep your left over wine fresh and ready to drink for next time with this set of two wine bottle stoppers from Prodyne. The sleek, chrome finish combined with the rubber ring provides an air-tight seal to preserve the flavor and aromas of your wine. They're also great for oil, vinegar and spirits bottles.